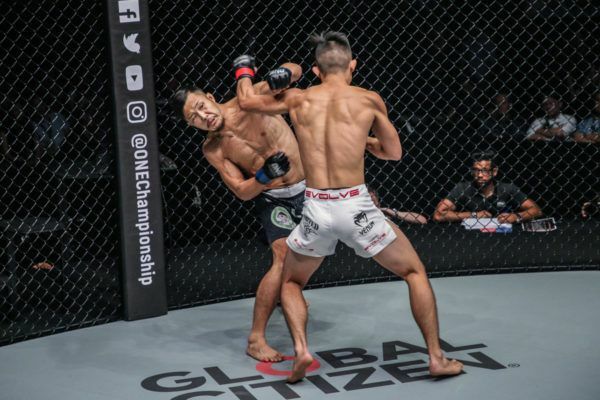 It was an incredible night of action inside the Singapore Indoor Stadium, as ONE Championship hosted 13 explosive bouts featuring elite athletes from the world of mixed martial arts, Muay Thai, and kickboxing. ONE: HEART OF THE LION was topped by the ONE Bantamweight World Title unification bout between Bibiano “The Flash” Fernandes and Kevin “The Silencer” Belingon, but it was not the only thriller on Friday, 9 November. 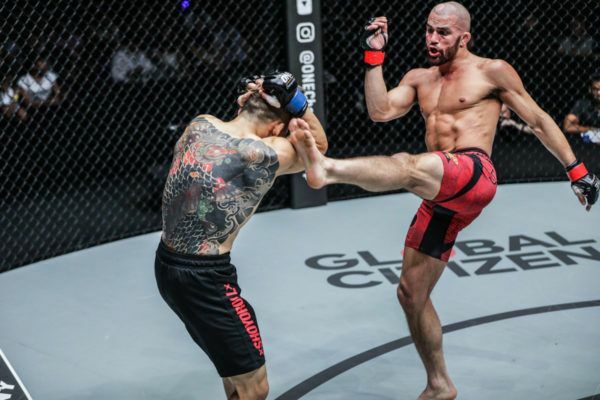 There were back-and-forth battles, emphatic knockouts, and slick submissions, as each athlete did their best to leave an impression on the passionate Singapore fans. Here are five of the most jaw-dropping moments from the blockbuster card. In a back-and-forth five-round tilt, Kevin Belingon outduels longtime ONE bantamweight king Bibiano Fernandes! It was as closely-contested as bouts come, but Kevin “The Silencer” Belingon (20-5) got his redemption. The Filipino hero defeated Bibiano “The Flash” Fernandes (22-4) via razor-thin split decision to become the undisputed ONE Bantamweight World Champion. The Brazilian’s eight-year and 14-bout undefeated streak finally came to an end, but it took a monumental effort from his rival. Belingon, who won six consecutive bouts to get his second shot at Fernandes, caused problems for the longtime bantamweight king with his kicks and heavy punches. That was good enough for two of the three judges at cageside to score the bout in his favor. It has been an enormous year for Baguio City’s Team Lakay, and “The Silencer” deserves a chance to sit down and enjoy his success. However, the former champion will be eager to return for the trilogy match with a point to prove. Christian Lee brings the house down with a thrilling TKO win over Kazuki Tokudome at 3:07 of Round 1! When atomweight queen “Unstoppable” Angela Lee was forced to withdraw from her scheduled ONE Strawweight World Title bout with the division’s reigning titleholder “The Panda” Xiong Jing Nan, her younger brother Christian “The Warrior” Lee (10-3) was eager to fill the void in front of his compatriots. Japan’s Kazuki Tokudome (18-10-1) was a willing opponent, and he met the Singaporean in a catch weight co-main event contest. Tokudome managed to take Lee down early, but he could not maintain that success. Once the Singaporean got back to his feet, he walked his 31-year-old foe down and landed a hard straight right, which began the finishing sequence. Lee followed Tokudome to the mat, took his back, and ended the contest with a string of unanswered shots to claim a first-round TKO victory, which received a huge ovation from the crowd. Giorgio Petrosyan showcases his trademark precision in a unanimous decision victory over Sorgraw! A near-perfect performance from Giorgio “The Doctor” Petrosyan (98-2-2, 1 NC) showcased just why the Armenian-Italian superstar is considered by many as the best striker of all-time. Taking on decorated Muay Thai world champion Sorgraw Petchyindee Academy (36-17), Petrosyan edged closer to his hundredth victory in decisive fashion. The southpaw clinician repeatedly countered Sorgraw’s powerful kicks with a thudding straight left, right hook combination, which reverberated around the arena with every clean connection. Sorgraw was on wobbly legs in the first round when a solid hook sent him reeling into the cage. 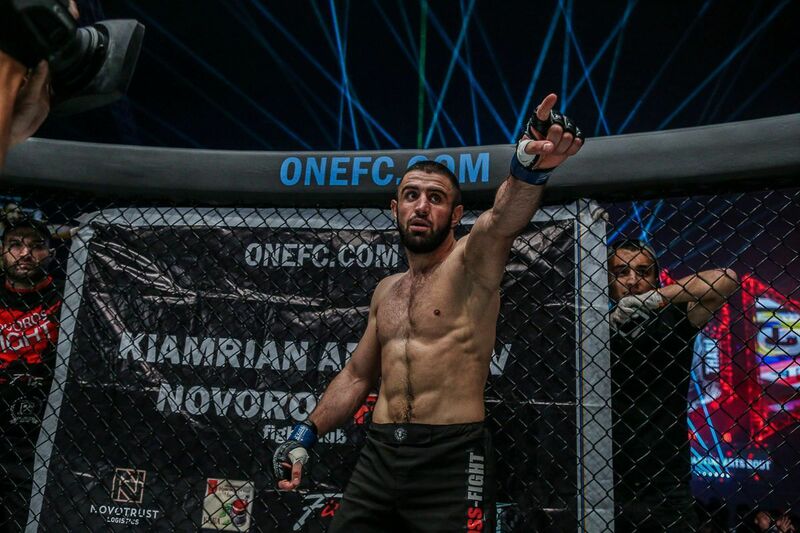 Petrosyan kept up the pressure for the remaining six minutes en route to a one-sided decision victory, which puts him at the front of the queue for a ONE Super Series World Title shot. Alaverdi Ramazanov knocks out Andrew Miller at 0:57 of Round 1 with a devastating uppercut! 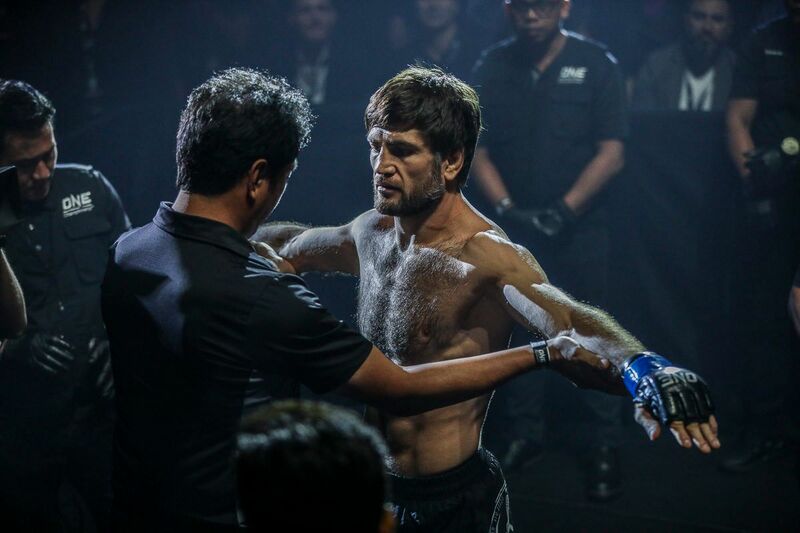 Russia’s Alaverdi “Dagger” Ramazanov (59-3) picked up his second ONE victory in as many months, following a landmark decision win over Petchmorrakot Wor. Sangprapai with a 57-second KO of Scotland’s Andrew “Maddog Fairtex” Miller (33-16-2) in Singapore. It took no time at all for the bout to heat up as both men engaged from the opening bell. Within the first minute, a three-punch combination from Ramazonov sent Miller crashing to the canvas – and it was the final left uppercut that separated him from his senses. 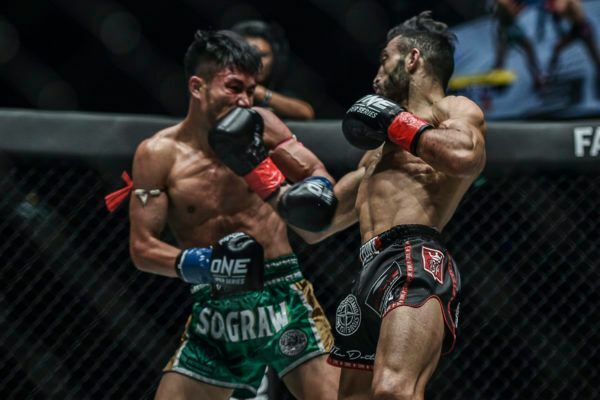 Thailand-based “Dagger” now has back-to-back wins in The Home Of Martial Arts. 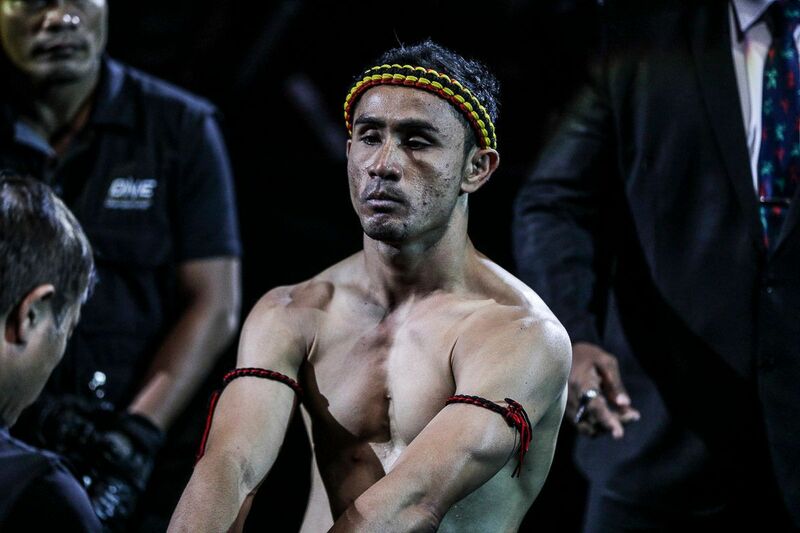 When the promotion looks to crown their inaugural ONE Muay Thai Bantamweight Champion, he will be hard to overlook. The night’s opening bout really set the tone, as Anthony “Archangel” Engelen (7-4) returned to the ONE cage against Cambodia’s Meas Meul (8-3). 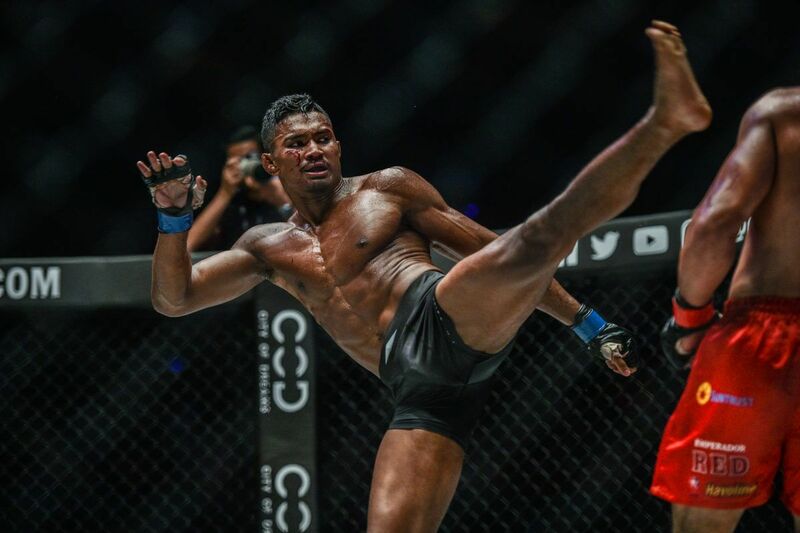 They sized each other up for the first 30 seconds, but just as Meul decided to uncork a big right hand, his Indonesian rival timed a right kick to his opponent’s head. The Cambodian dropped his left hand, and his forward momentum led him right into Engelen’s oncoming shin, which knocked him out after just 39 seconds. 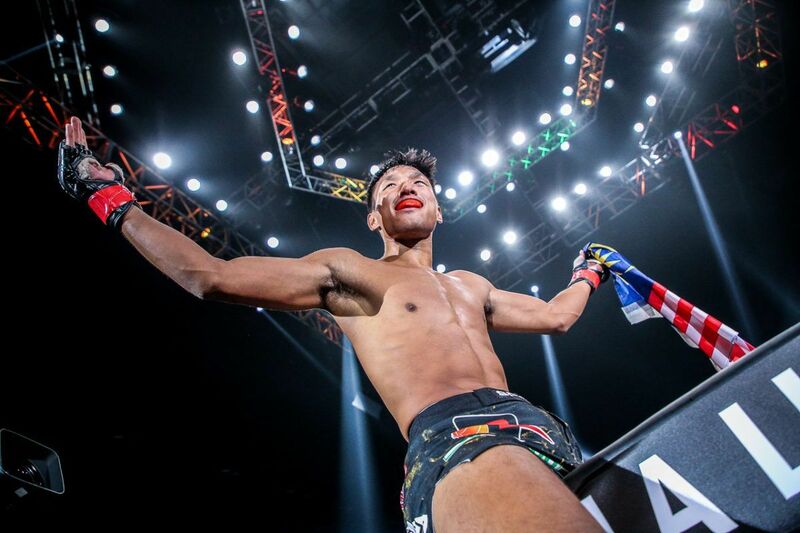 The Dutch-Indonesian picked up the third knockout win of his professional career, and he has won his last three battles in The Home Of Martial Arts inside the distance.